I’m not a person who likes to shop so I would often skip going to local bazaar on my travels. My aversion to these places stem from the feeling of being drowned in a sea of shoppers, having only enough budget for “essentials” and lacking enough backpack space for the long haul. But Istanbul’s bazaars are another beast. These markets are hundreds of years old and has been virtually untouched since their inception. The shops may look new after countless renovations to keep up with the times but the hustle and bustle of the bazaar made me feel like I was a merchant with a shipload of goods ready to be bartered with the honest but wary traders of Istanbul. 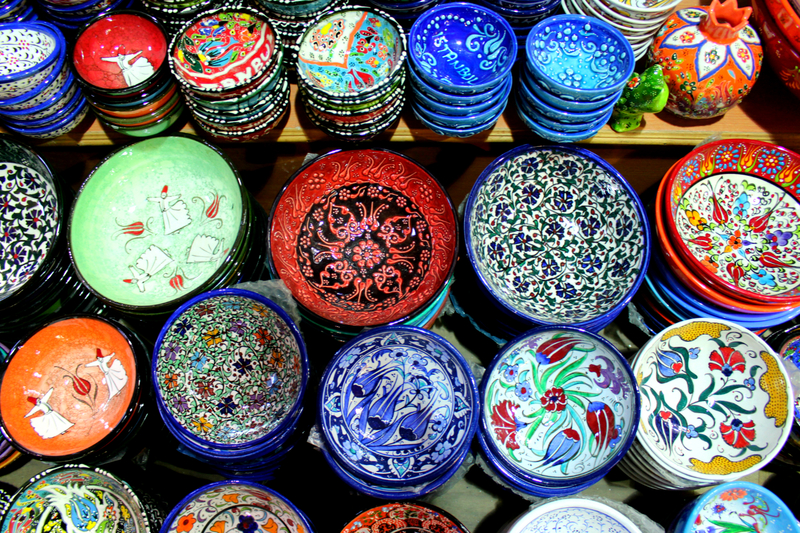 Here’s a story of how Istanbul changed my mind about going to bazaars. 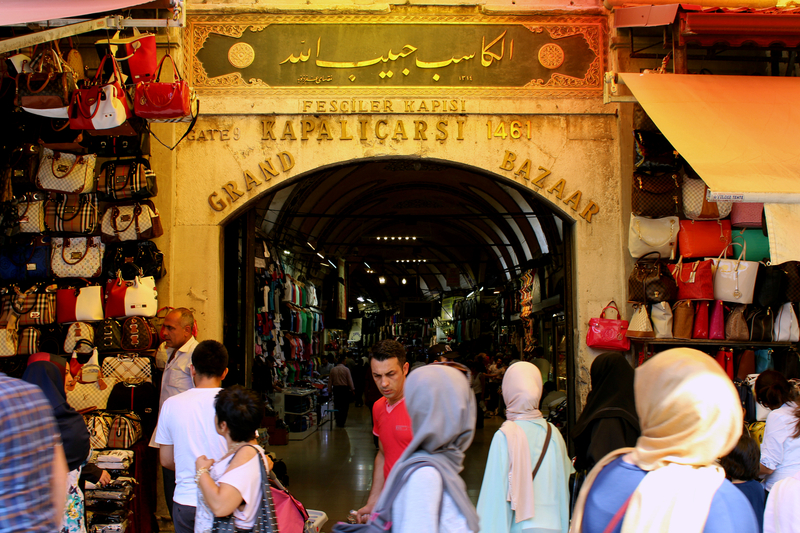 As far as naming goes, the Grand Bazaar does live up to its moniker. This covered market is somewhat hidden among the throes of street-side stalls since I could only find an entrance after wandering around for a good 10 minutes. I thought that the bazaar would be a very long street where I would come out to the light at the end of the tunnel but after hitting a number of cross junctions with equally long streets, I came to realized that I was about to enter a labyrinth. You know it’s grand when you could get lost in it. 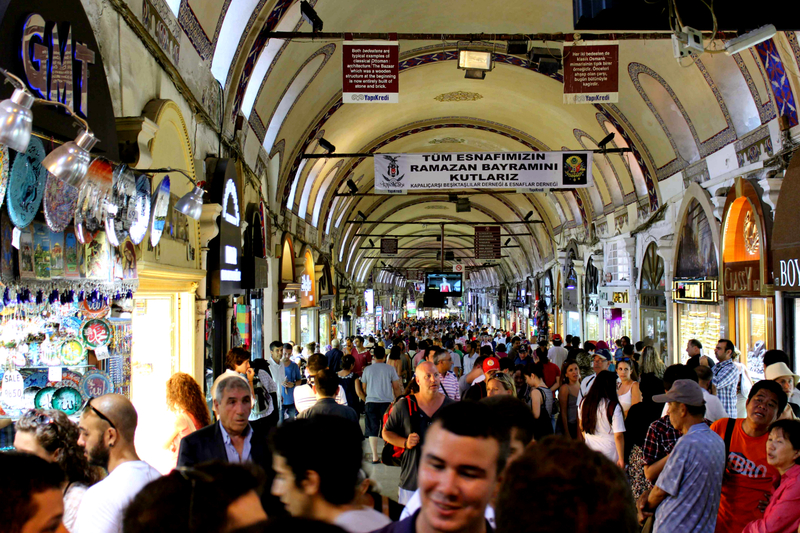 I later found out the Grand Bazaar has up to 5,000 shops scattered along 60 streets selling all kinds of items. It is like an ancient departmental store where stuff are sold according to sections, from jewelry at Kalpakcilar Caddesi to carpets at Sahaflar Caddesi. It was really fun to just stumble upon a specific section of the bazaar only to act really clueless once the shopkeepers started imploring me to enter their premises and start hawking their products at “good” prices. I would politely decline and told them I was just looking around while snapping photos. My subject of interest was handicrafts made with a Turkish flair – lanterns ruled the roost while in need of something more colorful, I came across the ceramics side of the bazaar. After being wowed by the blue and green Iznik tiles at Topkapi Palace, the plates and saucers on display was like a bed of flowers exuding a multitude of bright colors of red, yellow of orange. The blue-only Iznik designs still dominate but the contemporary ones were more liberal in the usage of colors, creating complex yet pleasing patterns. I could individually photograph every plate and turn it into an exhibition. The saucers were like blooming flowers to a honeybee and this little bee decided to break his self-imposed rule of not buying any souvenirs. So, I ended up with an ancient-looking Iznik tile that doubles up as a coaster. Bazaar 1-0 Danial. 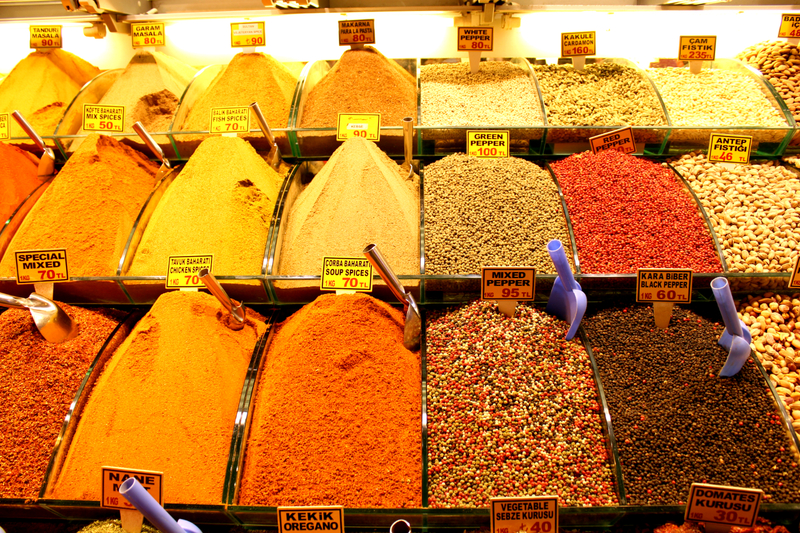 The second largest covered market in Istanbul is the Spice Bazaar located close to the Galata Bridge in the neighborhood of Eminonu. 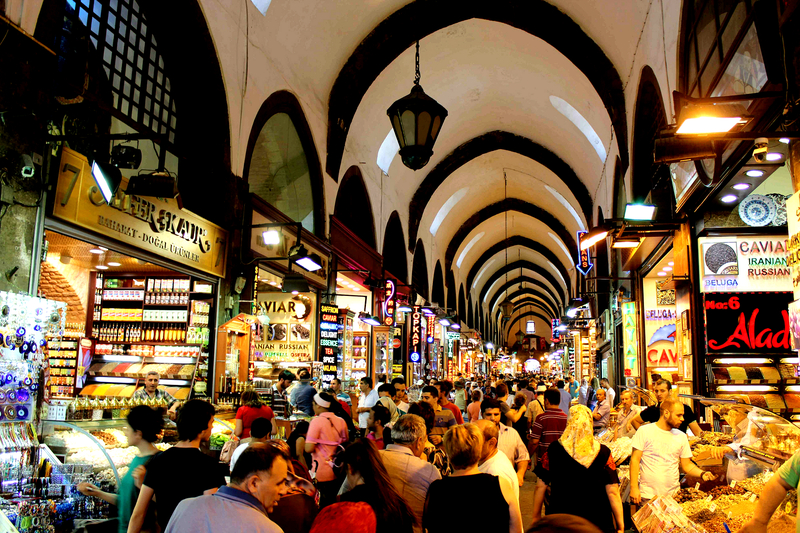 Unlike the maze-like Grand Bazaar, the Spice Bazaar was built to be one long corridor lined with open air shops selling the all kinds of spices and tea. The scene feels more like a marketplace where traders would cajole their potential customers into entering their store followed by serious rounds of haggling and price negotiations. Another busy day at the Spice Bazaar. I was on a mission to procure spices ordered by my mother so instead of doing a full lap and figuring out which shop had the best prices, I randomly picked one that looked okay and straight away asked for the types of spices needed. The shopkeeper was glad to show the different grades of spices by telling me that the best ones are very aromatic and has smooth texture so I compromised by settling on the medium quality ones, with a “best price discount” as well. Throw in a couple of boxes of apple tea and I was good to go. Take your pick of the myriad of spices and seasonings. With the score settled at Bazaar 2-0 Danial, I had to admit defeat. Sure I still have a dislike of swimming in a crowd of people at a market but I wouldn’t learn a bit more about the character of a city if I hadn’t gone into one. The Grand Bazaar was spectacular for delivering the same types of good for hundreds of years, preserving Turkey’s culture in the form of its arts and craft while the Spice Bazaar helped be hone my haggling skills, which I can proudly say was put to good use in my other market experiences. This post is part of a series on my travels to Istanbul, Turkey in August 2013. Read about Part 1 here when I covered glitzy Beyoglu and iconic Galata and Part 2 here where I visited ancient relics of the Byzantine and Ottoman empires. As for me, even if I did not shop, I will still go to the market area just to see how local market looks like. Istanbul was the turning point for my appreciation of markets and bazaars. From then on, I’d always include marketplaces in my travel itinerary. It’s a great way to understand the local culture while testing your bargaining skills! I wanted to buy tiles with calligraphy on them, where you need to put them side by side and frame them together but those are very expensive.